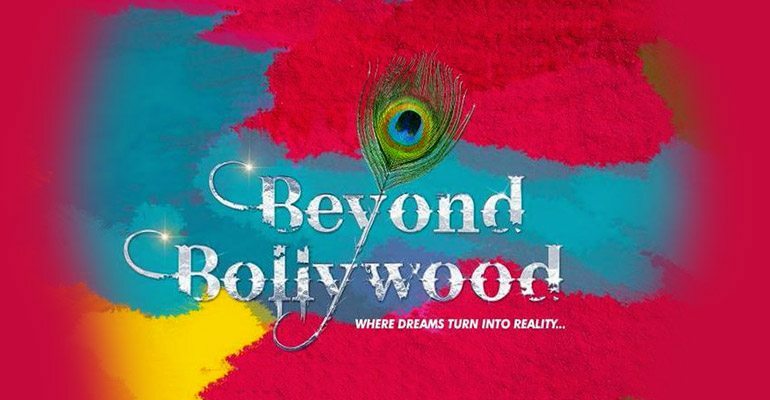 India comes to the West End in Beyond Bollywood, a dance extravaganza celebrating the vibrancy of Indian dance. It comes to the London Palladium from May 8th for 8 weeks only after a sell out run in Mumbai. The show follows Shaily Shergill, a young girl who travels from Germany to India to grant her mother's dying wish: to save their family's theatre. She strives to save from ruin by producing an epic Bollywood show, featuring dance, music and song. Expect traditional dance mixed with modern Bollywood, as well as an invigorating musical score. Excellent show, brilliant dance routines, well worth it. Will be going to watch it again. Amazing show! Great music, dancing, and acting! Bollywood is amazing and it has stolen my heart. Keep it up! Super proud to have seen this show. It is full of emotion and adrenaline. The costumes are out of this world unique and colorful. Top Notch! We thought that Beyond Bollywood was very poor, indeed it is the worst show we have been to in the West End and not what one would expect from the West End. The acting was very poor, the dancers were out of time and worst of all there was no live music and this is supposed to be a musical. I have never been to a show before in London where people have walked out. Many people left at the interval, we left 3/4 of the way through. Come on London Palladium we expect more from you! Loved the show! Great music, dance and comedy. Fun for the whole family. Great to see some regional folk dances get exposure on a West End stage. Choreography is simply amazing & the cast very talented. All should go and experience it. I have already booked again for next month. Thoroughly enjoyed the show! Something completely different, which is what I was looking for &amp; I have seen many many theatre productions including other Indian theme shows ('Bombay Dreams', 'Merchants of Bollywood' &amp; 'Behind the Beautiful Forevers'). It is fun with outstanding choreography, great energy and outfits! I will try to sneak in another visit before the last show in June. I loved the performances. The songs, music, costume, dancing, instruments were good. Liked the bit when the drummers come near the seating area. The musical shows the colours &amp; culture of India quiet well. However the beginning &amp; the dialogues delivery is weak. All boys &amp; girls have worked quiet hard. Outstanding dances with a lot of energy and enthusiasm on stage! unfortunately that isn't enough if you want to perform at west end in London! poor script, tasteless humor and digital stage backdrop was a major letdown. A fantastic opening night was experienced by all and we were instantly reminded of our many past trips to India. Our minds and senses were teased by the sights and sound and the display of great dance both traditional and modern. Add some unexpected humor and a subtle story line to make this a great show for all generations and nationalities that we thank you Beyond Bollywood. India is a country that many identify with but don't spend much time in. Beyond Bollywood travels far-and-wide across India, illustrating her folk traditions and their tryst with fashion, through a riot of colour, sound, emotion, and oh! movement. The show opens with a Jugalbandi and makes way for a narrative that wraps around dances that rightfully claim centre-stage. So, with raunchy numbers, nostalgic folk performances, thumping adaptations of festival dances, a hilarious cabaret and a little bit extra thrown in for good measure, the musical's premiere came to a fitting close with the audience on their feet (and a few whistles in the air). This show made a rather suited-up audience dance on more than one occasion and i think i'm going to go back to watch them perform their energetic 'Namastes' once again.